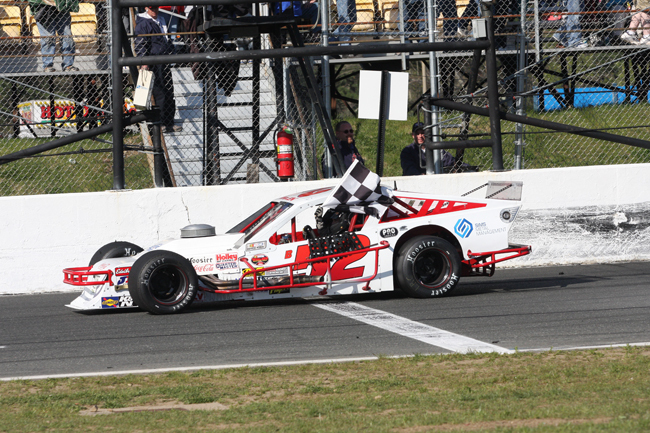 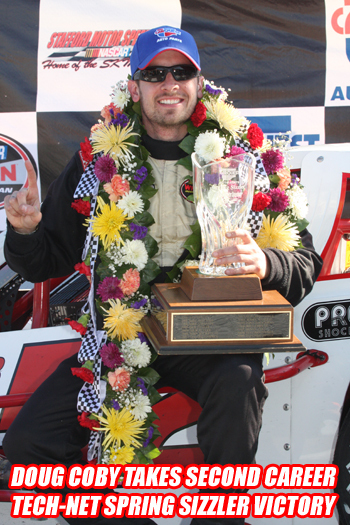 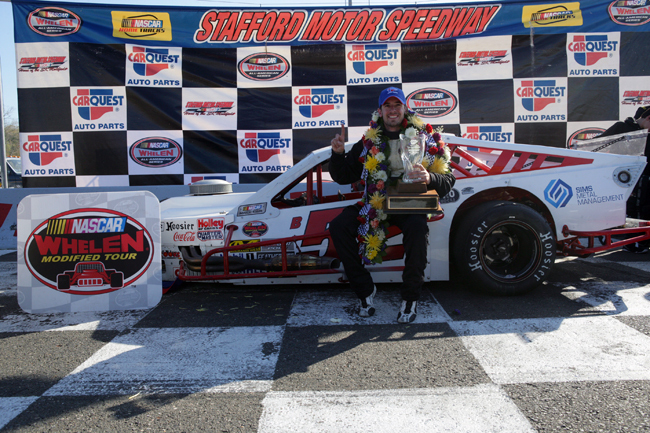 Doug Coby sailed to his third career NASCAR Whelen Modified Tour victory Sunday in the Spring Sizzler at Stafford Motor Speedway. 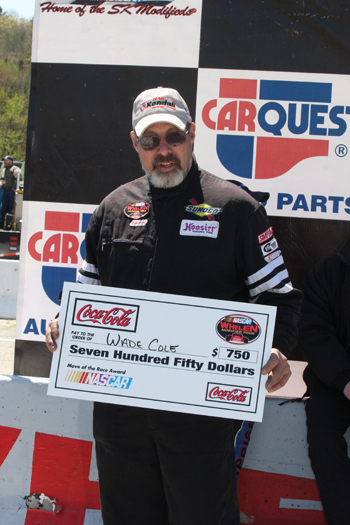 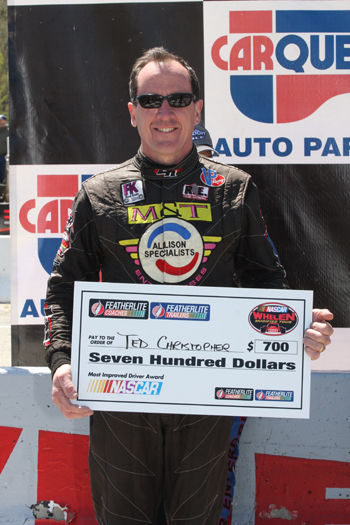 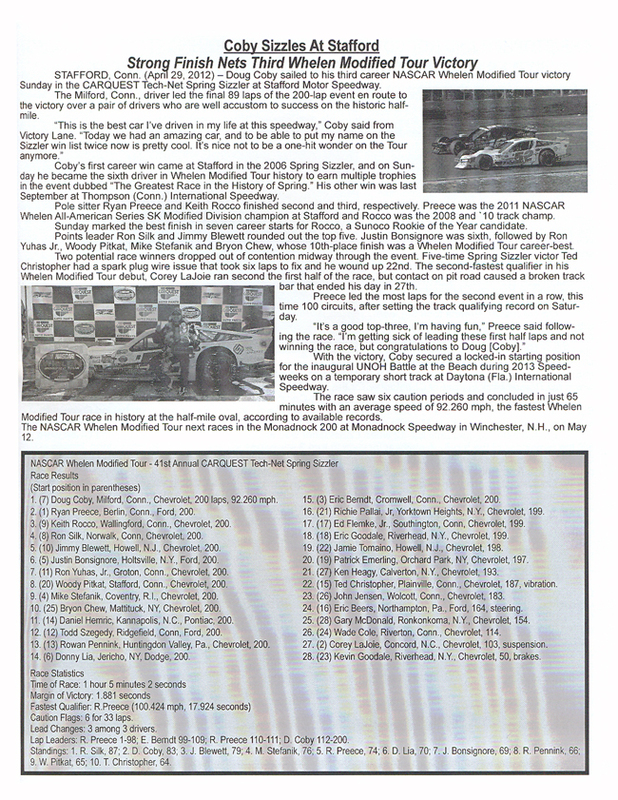 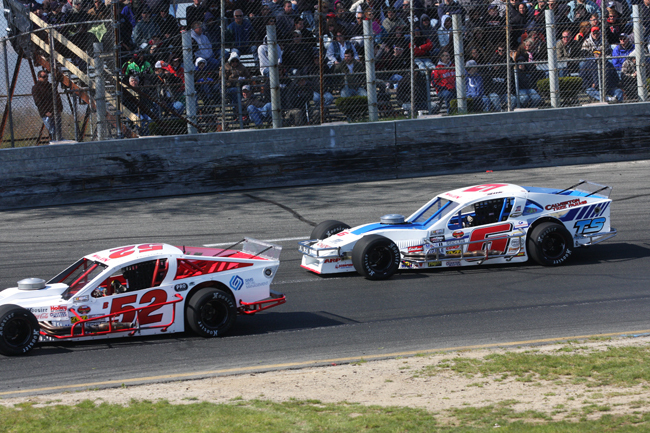 The Milford, Conn., driver led the final 89 laps of the 200-lap event en route to the victory over a pair of drivers who are well accustom to success on the historic half-mile. 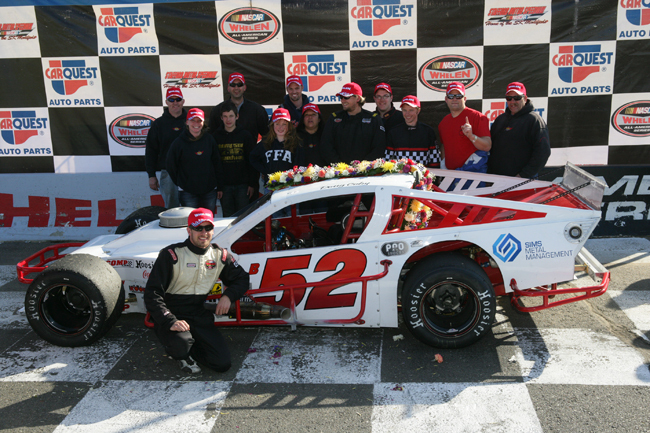 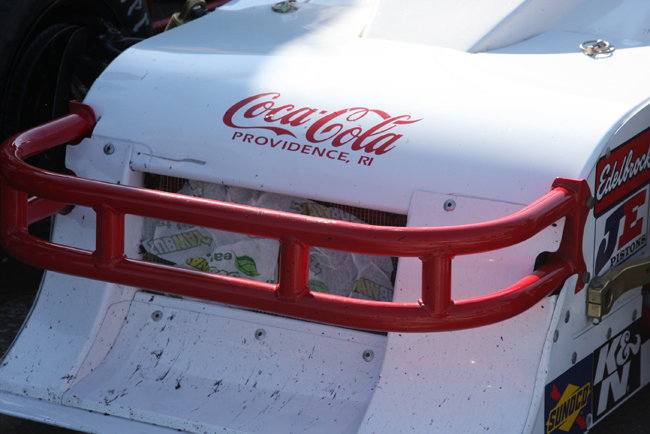 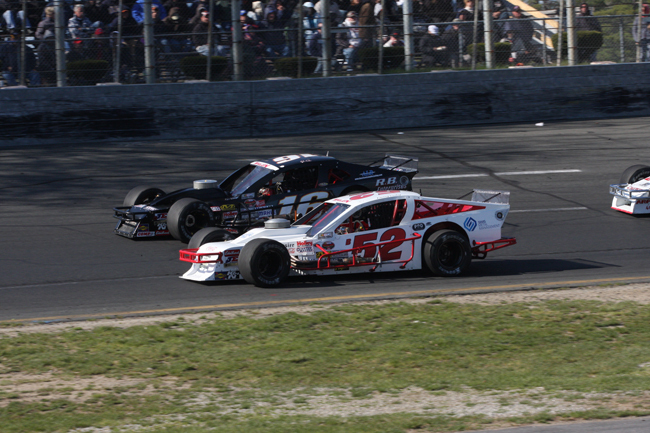 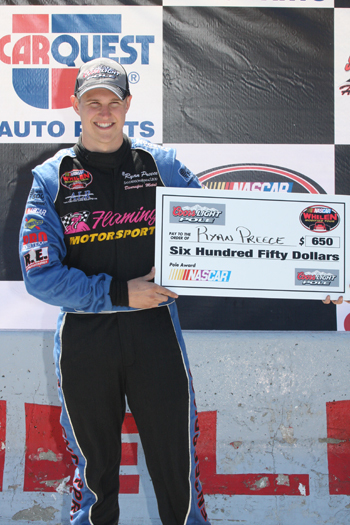 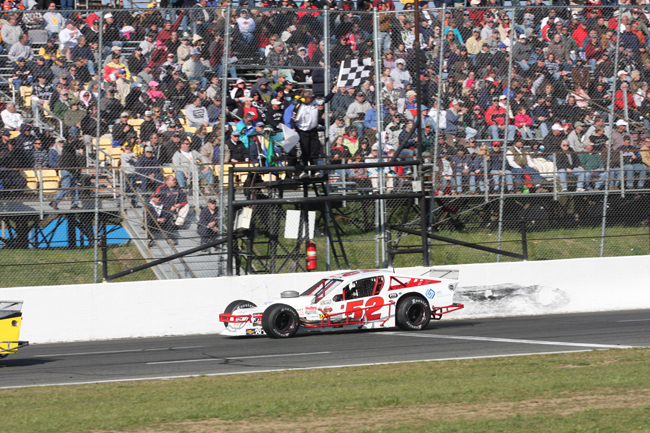 Pole sitter Ryan Preece and Keith Rocco finished second and third, respectively. 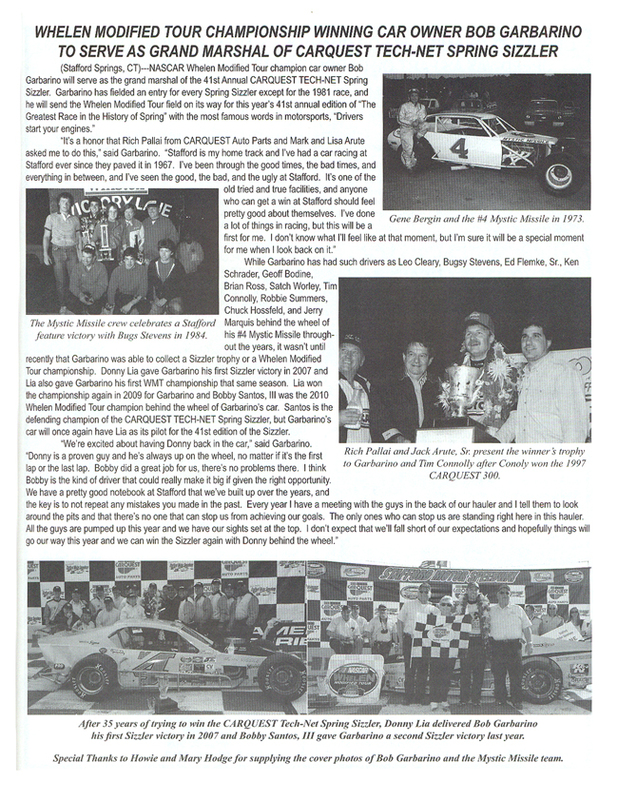 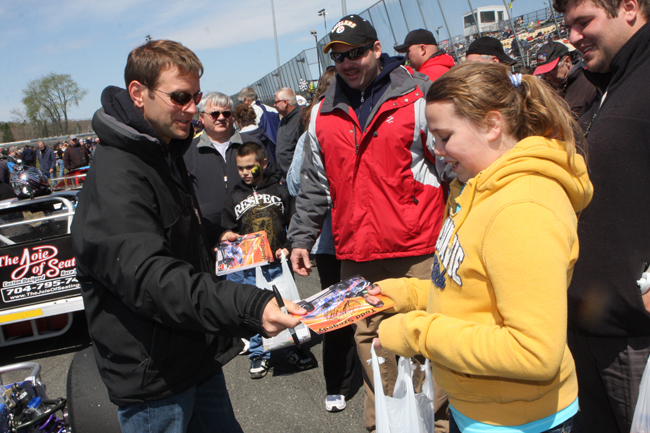 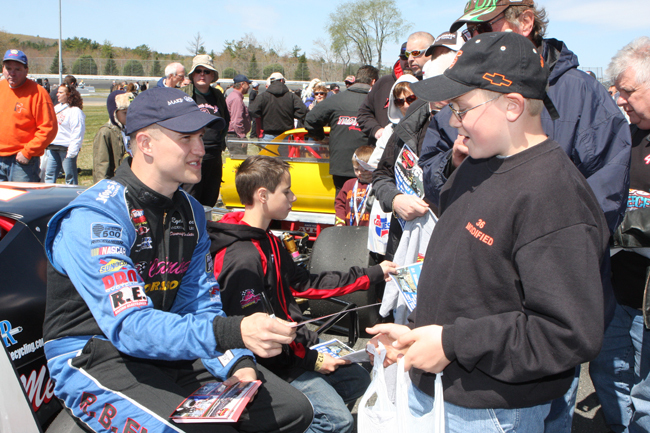 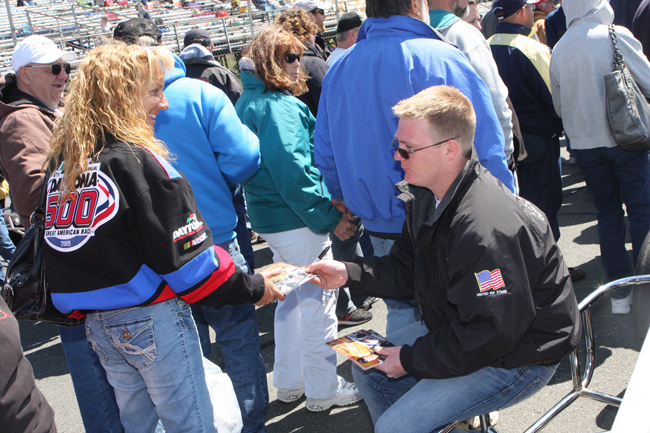 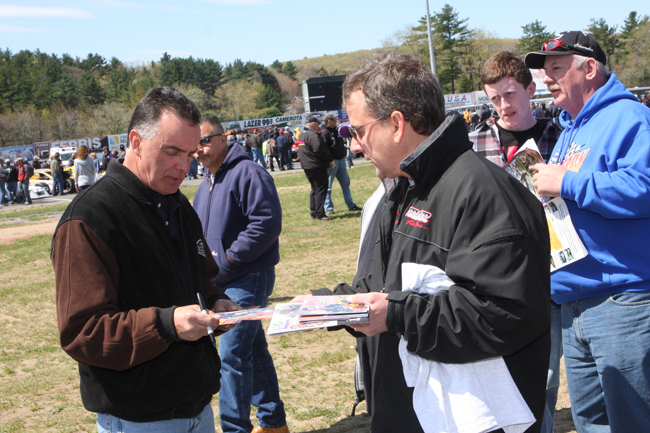 Preece was the 2011 NASCAR Whelen All-American Series SK Modified® Division champion at Stafford and Rocco was the 2008 and `10 track champ. 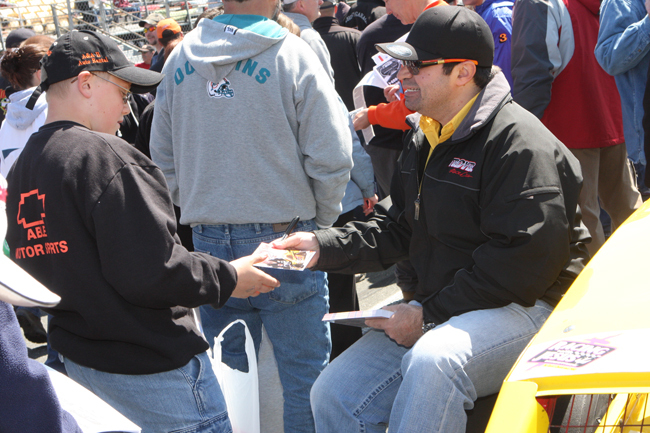 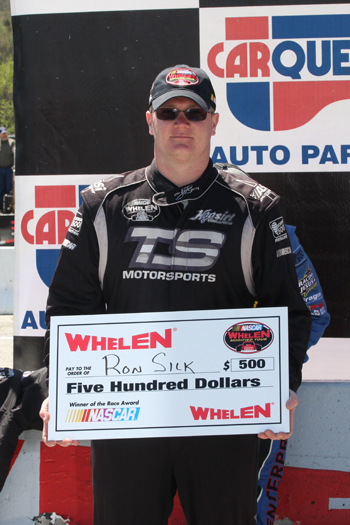 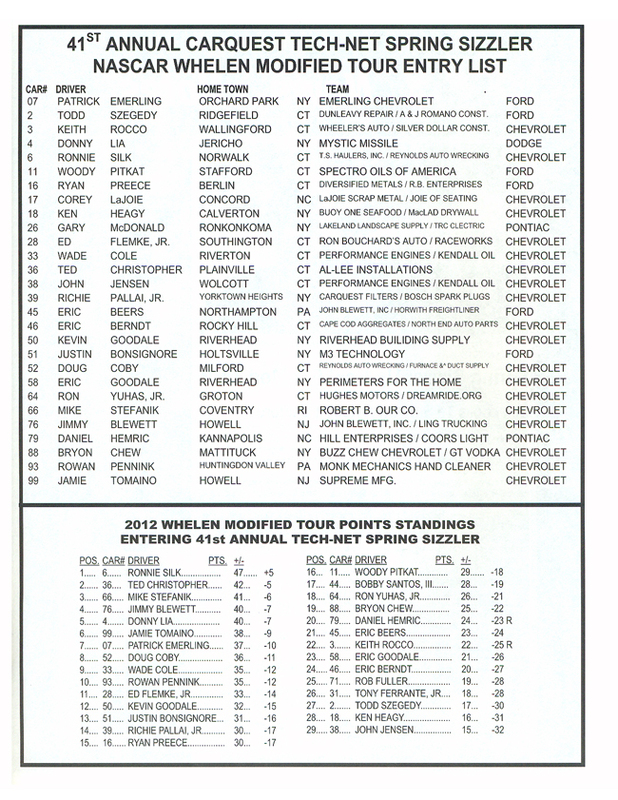 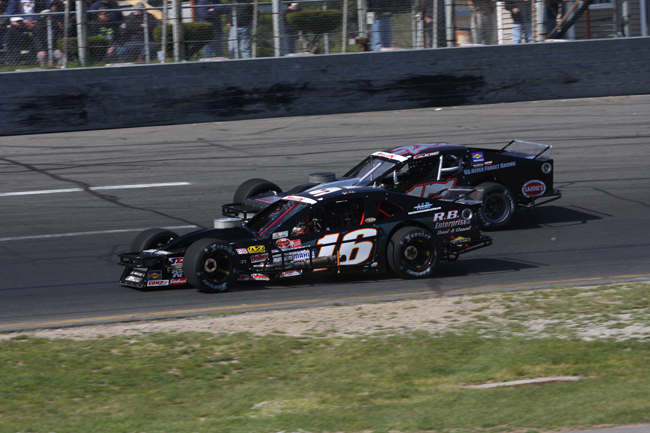 Points leader Ron Silk and Jimmy Blewett rounded out the top five. 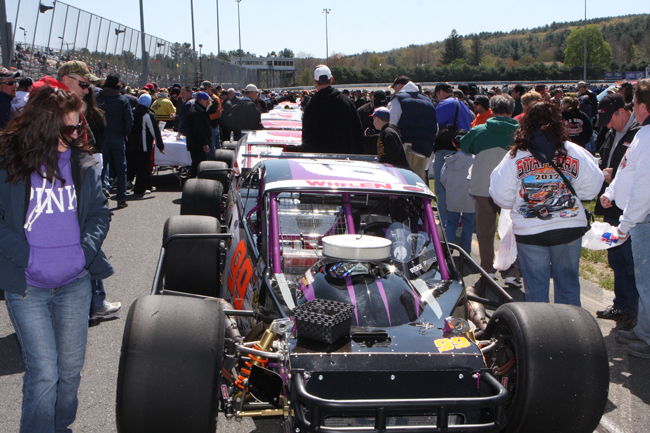 Justin Bonsignore was sixth, followed by Ron Yuhas Jr., Woody Pitkat, Mike Stefanik and Bryon Chew, whose 10th-place finish was a Whelen Modified Tour career-best. 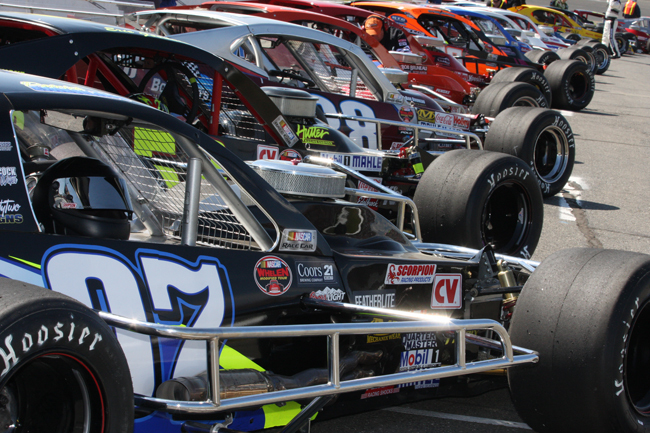 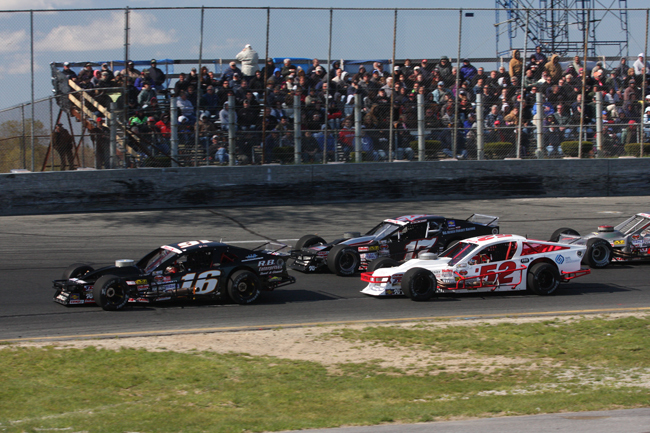 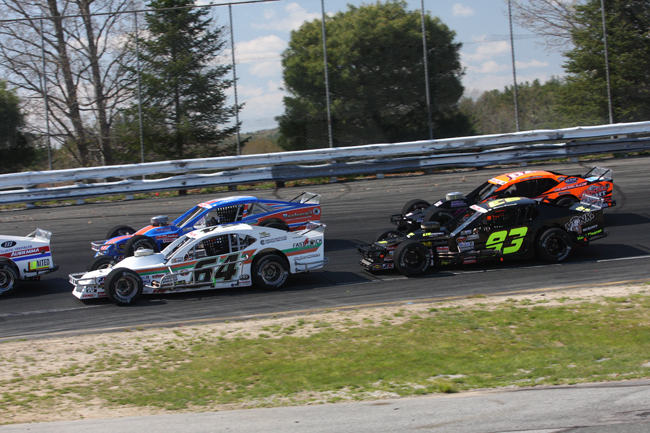 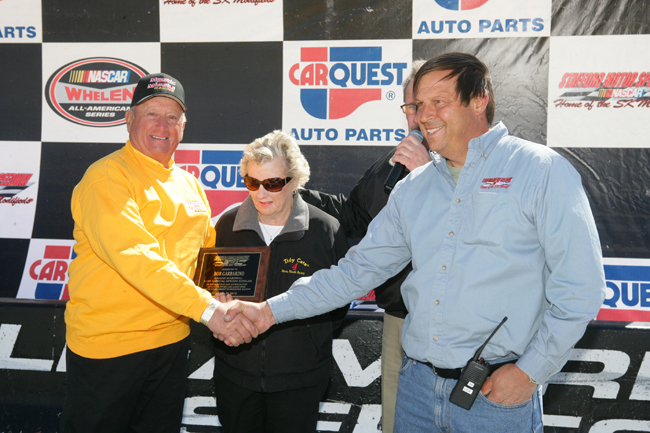 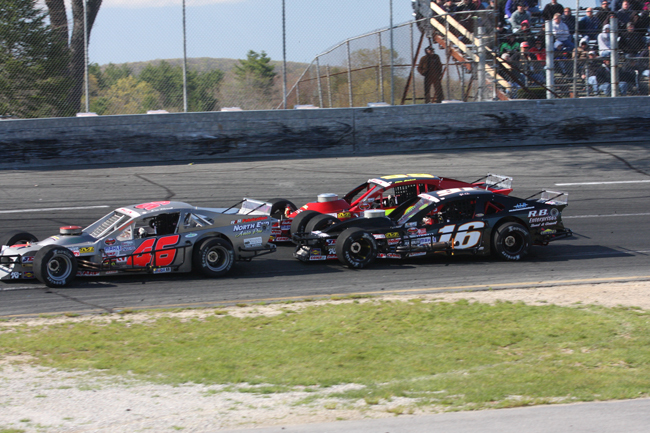 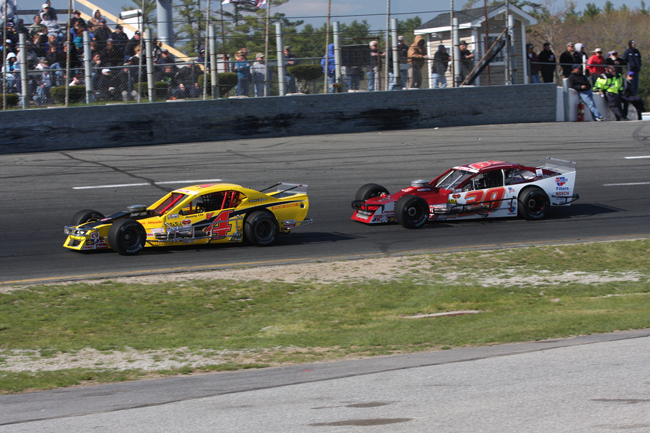 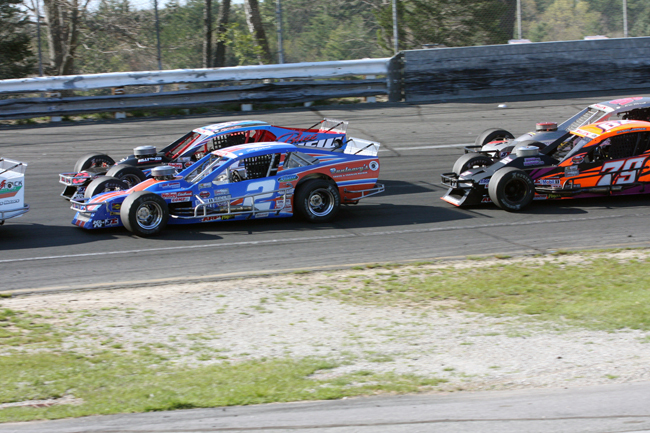 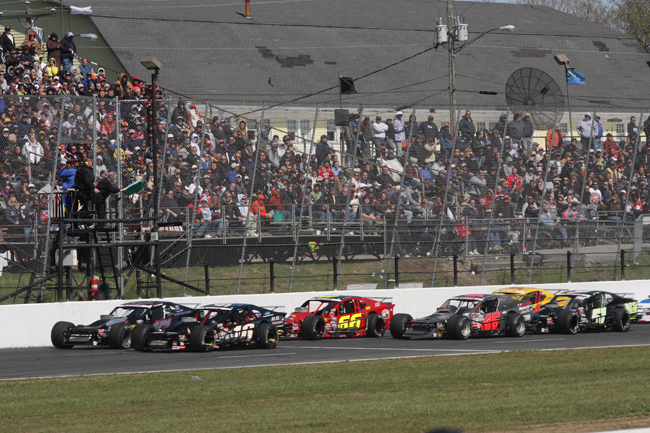 The race saw six caution periods and concluded in just 65 minutes with an average speed of 92.260 mph, the fastest Whelen Modified Tour race in history at the half-mile oval.